The Single Channel wireless hand control provides the reliability and robustness you expect from Preston in a compact, lightweight package. It can be used with the rest of the FI+Z system to take over the Iris or Focus function from the HU3, selectable with a toggle switch on the front panel of the unit. The F/I features a bright LED bargraph display of lens position. End limits can be set with the touch of a button and are shown as illuminated bars. A tri-color LED is used to indicate wireless signal strength, along with red LED indicators for wireless channel, battery voltage status, and camera run/stop. 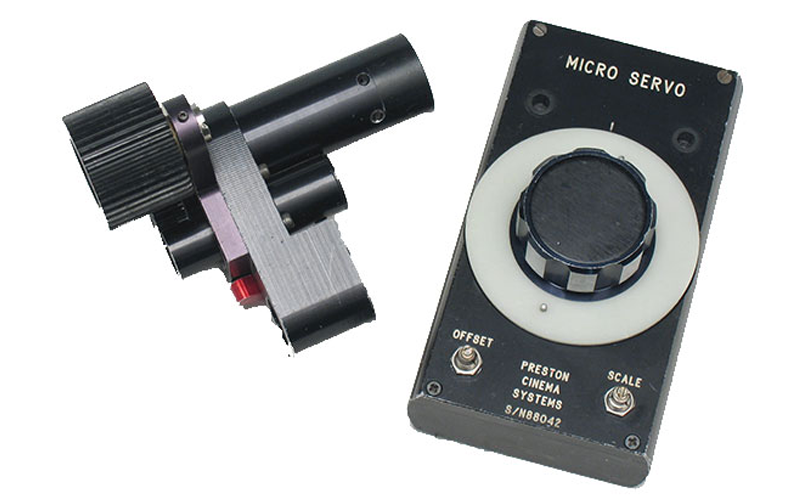 The Hand Unit 3 (HU3) is the industry standard focus control. Its advanced technology empowers the focus puller with a completely new set of tools to get tougher shots in fewer takes. 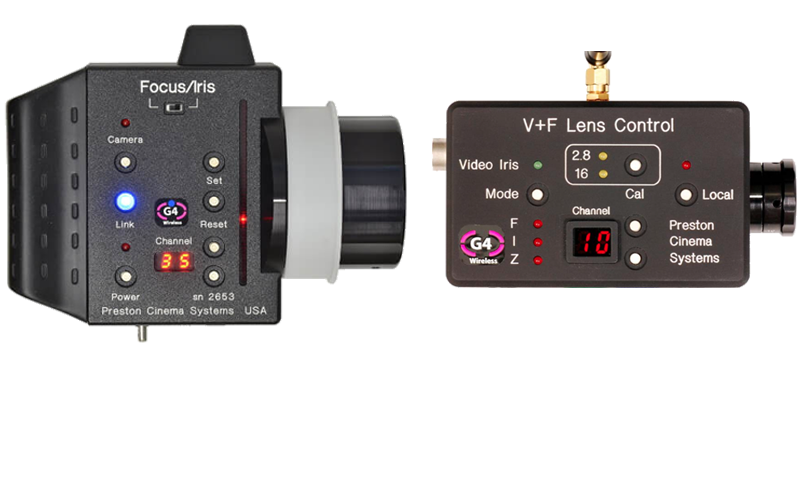 Lens mapping eliminates the need to mark rings for each lens, greatly reducing prep time and standardizing all focus throws to five pre-printed rings, organized by close focus distance. Keeping with the Preston philosophy of rugged, bulletproof products, the HU3 was designed with innovative ultrasonic iris slider technology which means the chassis remains sealed, splashproof, and dustproof for sustained operation in even the most extreme conditions. When a Micro Force zoom control is attached, a bright red LED bargraph display illuminates on the HU3 to show the current zoom position. Tactile switches allow the user to set limits for any of the F, I, or Z controls, restricting that motor’s movement for critical or repeated shots. 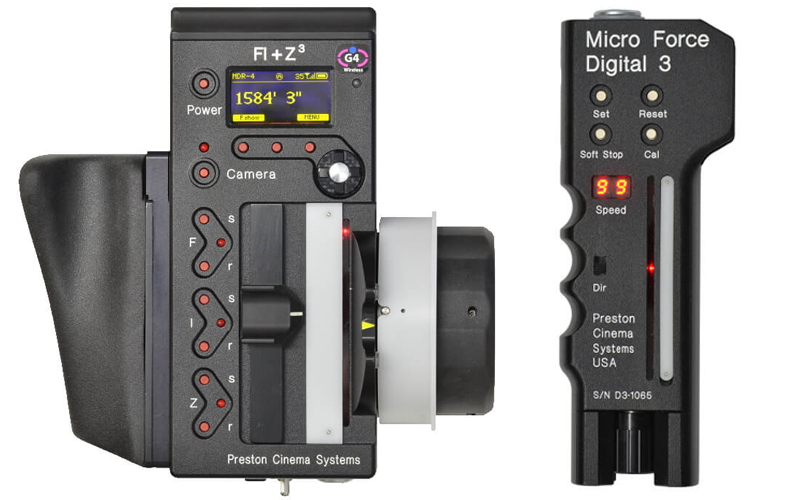 The Preston Micro Servo system is an economical remote lens controller. It is a wired system and has excellent sensitivity and response.